Nestled inside the gated, master-planned community of El Banco in the quaint resort community of Punta de Mita, Mexico you will find this special rental property. Casa La Vida Dulce is a luxurious architect designed Mexican Hacienda Style home rental. 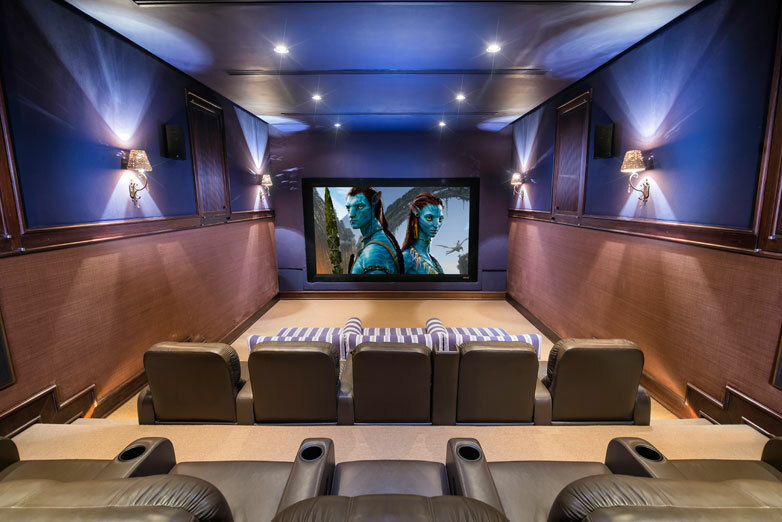 With room for up to 20 guests, this very large vacation rental property includes eight unique living spaces: two Master Suites, an additional three Suites, a Kid’s Themed Room and two Additional Large Living Quarters. Enjoy the use of the fully equipped Gym, Ocean View Office and Library or state-of-the-art 140″ HD Movie Theater. Both the Formal and Commercial Kitchens, along with the Outdoor Grill, Outdoor Pizza Oven and Palapa area are ideally suited for entertaining. Relax, take in the beautiful surroundings from our Palapa or Infinity Pool and Jacuzzi; all with amazing Pacific Ocean views. The warm water and soft sandy Beaches of Punta De Mita border this classic Hacienda. Come and experience the beauty of Mexico, watch Whales come in and out of Banderas Bay while you enjoy the quiet seclusion of these beautiful beaches. Unlike Puerto Vallarta’s famously crowded beaches, stacked with high rise hotels and frequently rough surf, Casa La Vida Dulce enjoys a protected coastline and a tranquil, private environment. The reviews of our Pizza Oven are always the same- people love making pizza’s in this dedicated outdoor oven. If Barbeque is on the menu, then let us prepare some fresh fish, vegetables or barbeque items of your choice on the large outdoor Barbeque grill. Enjoy the serenity of the lush landscaping and pristine beauty of the Punta Mita Coastline from this Olympic-size Heated and Fantastic Pool. Every detail has been thought through, including underwater speakers that allow you to keep listening to your favorite songs, even when submerged. This large pool has diving rocks, a rope swing and a large Jacuzzi. Fun is definitely on the menu when you stay at Casa La Vida Dulce. The Pool-side Party starts with this quaint and comfortable, classic Mexican Palapa. The perfect place for sunset cocktails. 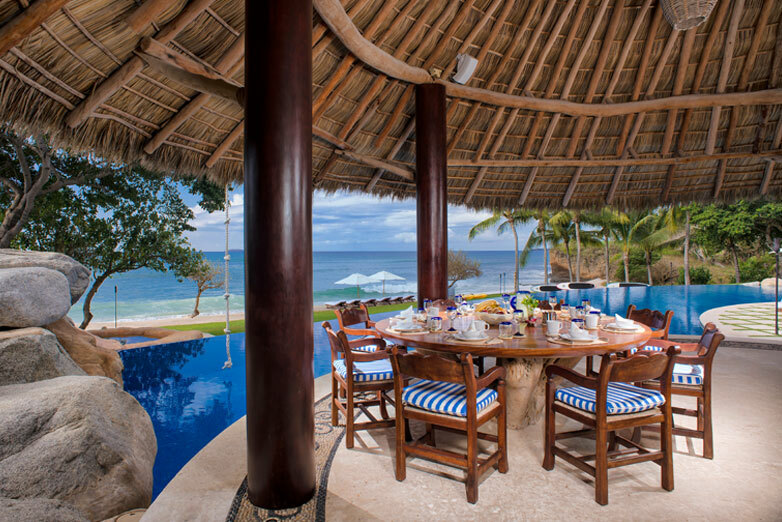 The Palapa has room for ten people to have lunch. The lunch area table features a center Lazy-Susan, so everyone can have their fill of Homemade Guacamole, Chips and Salsa. 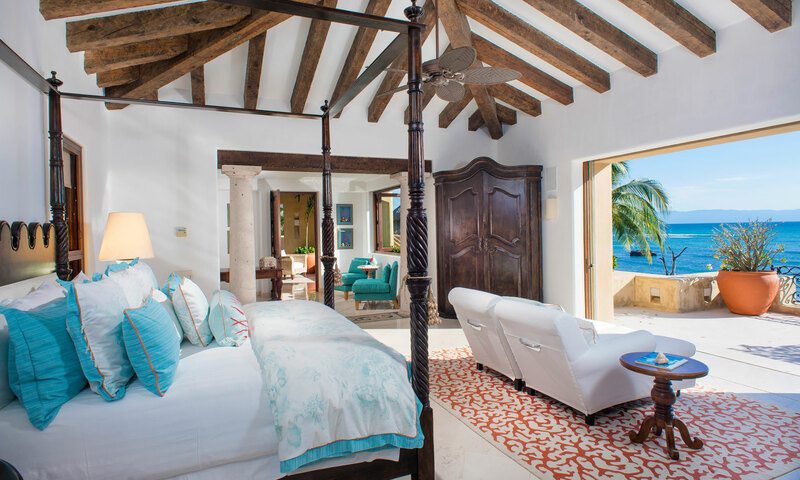 Casa La Vida Dulce invites guests and travel aficionados to an exceptional and exclusive private vacation experience.